This entry was posted in Books and tagged Amazon, books, Dan Brown, Inferno, iTunes, kindle, The Da Vinci Code. Bookmark the permalink. 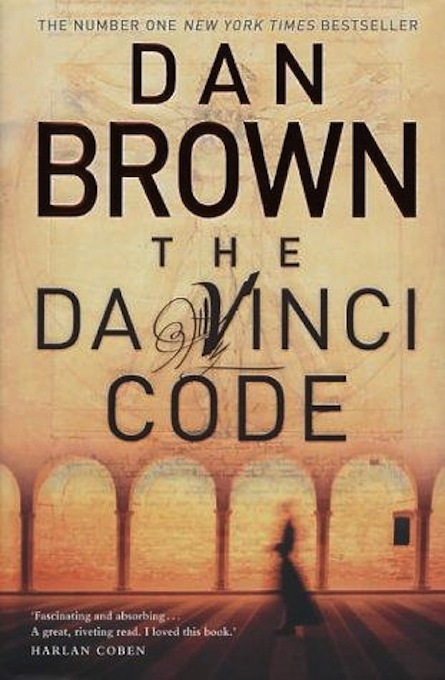 Why is The Da Vinci Code banned in Lebanon? For fear of insulting religious sensibilities? I’ve read the book, and part of his second book, and it seemed to me that both books were basically the same story: It’s a game of what we call “Happes et Hamatmon”- a treasure hunt. At each stage you find a clue that leads you to the next stage. The details differ, but the basic premise stays the same. I found it tiring… But enjoy! Yeah, the Church didn’t want it to be released here therefore it was banned. I think they went more with word of mouth than actually reading it because the book upon which Da Vinci Code is based (Holy Grail something) is actually allowed here. But the Church hasn’t heard of that yet – a friend told me it’s a horrible book (quality-wise, not content). There’s actually a book preceding Da Vinci. It’s called “Angels and Demons” and it remains my favorite of the Robert Langdon series. Compared to that, the two books that followed (Da Vinci and Lost Symbol) are in gradually decreasing quality. Lost Symbol was downright horrible and I wasn’t even interested in the side stories about the free masons. But yeah, the books are definitely more or less color by number. I don’t read them for the plot itself as much as for the research he does, which is always interesting in my opinion – regardless of whether it goes as conspiracy theory or is actually founded in reality. I think Inferno will be good because it takes Langdon back to Italy and there’s a lot of history there for some decent story, unlike Washington DC. The first chapter was much more interesting than the Lost Symbol which I hated.